“These days most of us have the attention span of a meth-addicted squirrel.” This is classic Kristen Lamb, and it’s what so many of us love about her. She speaks with refreshing honesty, strikes with precision, and has a mysterious way of predicting the future of marketing for writers. She’s also helped tens of thousands of writers find success with social media and branding. Who is Kristen Lamb? She’s a best-selling author and social media Jedi. She lives in Texas, but she is known all over the world with authors, both seasoned and novice. Many years ago, I was one of those novice indie authors (and a young, naive content marketer) when I first started following Kristen’s blog. Here was a woman who told it to us straight, without the “If you write it, they will come” nonsense. If you write it, they won’t come. The same holds true for marketing. There is so much more to it — branding, promotion, social media, blogging, hard work, failing, and storytelling. You have to build a genuine following if anyone is ever going to listen and you need to draw people in with a darn good story. When I had a chance to do a storytelling interview for ClearVoice, Kristen was the first person I thought of. 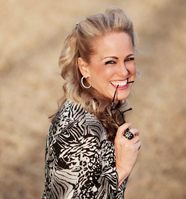 She’s been in the trenches as both a businesswoman and an author, she knows her stuff, and she knows how to help others understand what it takes to be successful. Without further ado, this is Kristen Lamb’s take on storytelling. The W.A.N.A. (We Are Not Alone) movement has benefited writers across the spectrum for years. Tell us what W.A.N.A. is about and why you started it. Kristen: When I first taught social media, I did it on Yahoo loops. Everyone who took the class was instructed immediately to follow everyone else in the class and to work together. I took the idea from the Amish practice of barn-raising. If a member of the Amish community needs a barn built, everyone in the community pitches in. What would have taken one person weeks takes only a matter of days. I imagined social media to be the same. I also knew what it was like to start out alone with no support, with those closest actively discouraging the dream. Baby writers needed a place to get started with those who would nurture their success. You’ve written three best-selling books, including Rise of the Machines—Human Authors in a Digital World and We Are Not Alone—The Writer’s Guide to Social Media. These two were considered pretty provocative when they first released, especially the latter. What propelled you to write them? 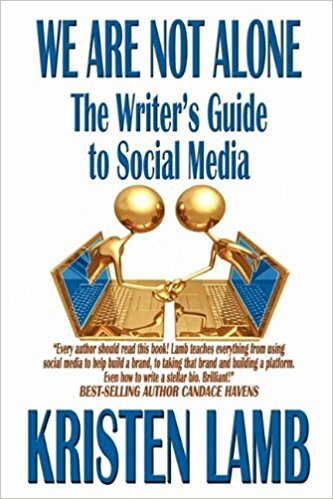 We Are Not Alone—The Writer’s Guide to Social Media was my first best-selling book. It was very provocative, because writers were incensed at the idea of being required to do social media. I was making some really bold and extremely unpopular predictions (and all have since come true, btw). For instance, I forecasted that online retailers would replace bookstores and that social media was going to be necessary — not optional — for all authors within five years. I predicted that eventually agents and editors would require a viable social media platform as well as a good book, that the standards for the non-fiction author would become the standard for all authors. Needless to say? This was not well-received at the time. Most writers back then were actively anti-technology. Most refused to even use email, so it was a really tough sell — especially since many editors and agents were actively preaching against it. 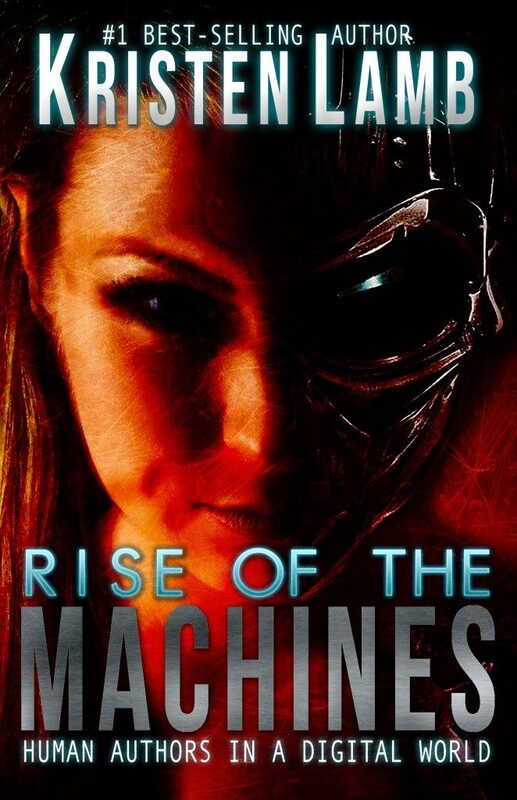 Rise of the Machines wasn’t nearly as provocative, since social media was far more mainstream by 2012 when the book was released. Authors were no longer terrified of it. They had seen writers become very wealthy by using social media so, unlike We Are Not Alone, there were success stories to be cited. Writers weren’t just taking my word for it. The proof was in the pudding, so to speak. Probably the only thing that might be considered provocative about Rise of the Machines is that I gave a fair and unbiased assessment of all forms of publishing and told some really hard truths about legacy press. Storytelling has been thrown around a lot in marketing for years, but we want to hear your take as an author. What’s your definition of storytelling? Does it give the audience something to contribute or to take away? All of the best movies and books do this. Harry Potter, for instance. Being a kid? Pretty universal. School? Family? Growing pains? Definitely emotional. Audiences relate and want to share. Same with social media. Look at all the stuff that goes viral. High concept. Look at the best advertising, the commercials you remember. High concept. Shampoo companies don’t bore us with facts, they promise an “organic experience” with a woman moaning in the shower. Storytelling. What about the “power of storytelling?” Why is storytelling so important for brands today? Kristen: Because humans are wired to remember the story. It makes us connect using more than one part of the brain. I talk a lot about the neuroscience of this in Rise of the Machines. The short version is that, in the digital age, we are being flooded with information. And to manage all this excess inflow? The brain uses neurological shortcuts called somatic markers. Somatic markers associate an emotion with a seemingly inanimate thing. The emotion is what makes it powerful though. For instance, you go buy a red Honda and suddenly you see red Hondas everywhere. You see them on the road, on TV, on billboards, when before you didn’t. Why? Because you have formed an emotion regarding your car. Storytelling does the same thing in advertising. We laugh when we see a GEICO commercial. It’s a fun experience, so when we think insurance, we think of GEICO. What storytelling method have you used to build your personal brand and business? Kristen: I use my log line: We Are Not Alone. I create an atmosphere where writers know it is OK to not know everything. I am very comfortable sharing my blunders. Writers see that I have three best-selling books and I am keynoting in New Zealand and I have been really successful… but the thing is? There was a time I knew nothing. Worse than that, I was too dumb to know I was dumb. I think writers can relax when they are learning craft from a writer who admits she was an idiot. My first novel was 187,000 words. I am not kidding. I had no idea what an antagonist was. Many successful writers don’t brag about their early failures and they unwittingly portray this idea that they just fell out of the womb born geniuses. That is actually pretty rare. So I think by being open with my struggles, I give emerging writers permission to have a learning curve. They can relate to me because they relate to my story. How can brands use storytelling to make an impact on social media? Kristen: Storytelling makes it more interesting. Who wants to look at ads? What are three key elements of storytelling done right? Kristen: Is it universal? Is it emotional? Does it give the audience something to contribute or to take away? Is there a wrong way to do storytelling? Kristen: Making it only about you. This is always, always about the audience. I see this all the time in books and on social media. Writers who are writing to entertain themselves. Doing social media only to serve themselves. What is the one piece of storytelling wisdom you want to leave with our audience? Kristen: Practice makes perfect. You won’t nail this in the beginning. It will take practice. It is why I am a huge fan of authors having a blog. The blog is the most stable form of social media and it gives you practice. Our voice grows only with doing the hard work day after day after day until it is not longer hard.